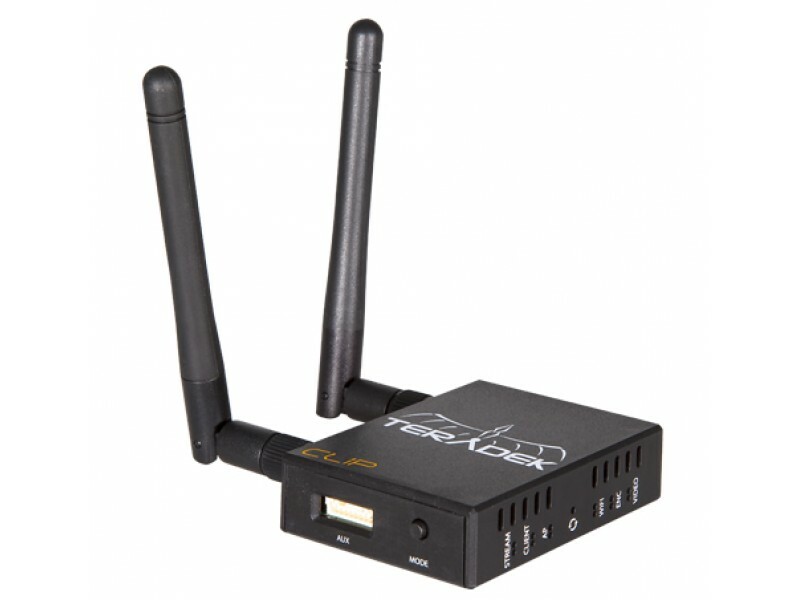 Teradek Clip 10-0246 is the world’s smallest and lightest H.264 transmitter developed specifically for unmanned aerial vehicles. 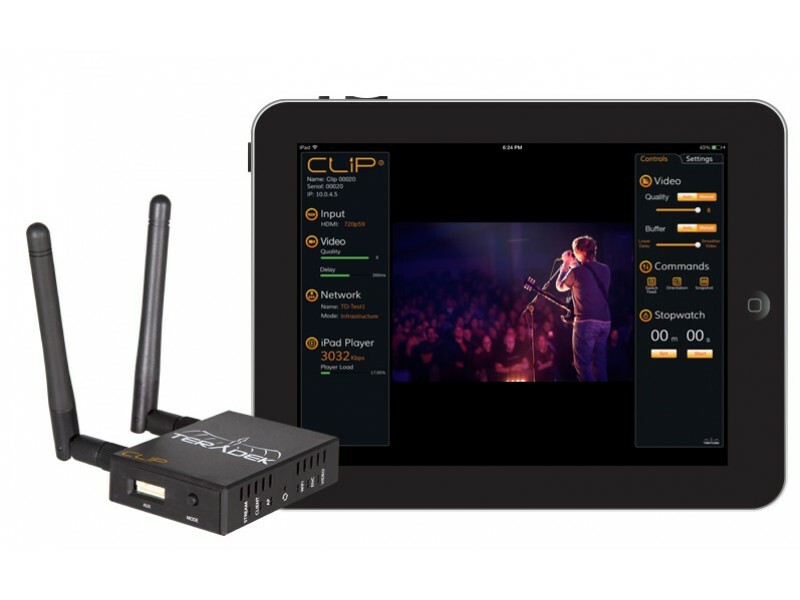 Clip gives copter pilots a powerful HD video transmission solution for low latency monitoring on iOS devices or point to point broadcasts with Cube decoders over 2.4/5GHz WiFi. 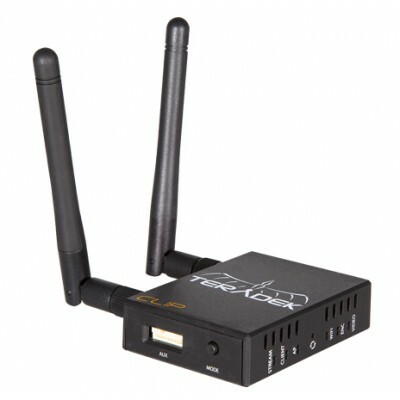 Clip has a micro HDMI input, dual RP-SMA jacks for high gain antennas, and can transmit up to 300ft without a router. Clip is about the size of a matchbox, requires little power, and weighs approximately 2 ounces. This means you never have to worry about sizable increases to your copter's payload or inefficient power draw that may quickly deplete onboard batteries. To ensure a robust low latency video transmission, Clip utilizes the custom TDS transport protocol, which allows you to fly in and out of range without having to restart the transmitter. Clip is also capable of transmitting to Cube decoders using TDS and to Wirecast and TriCaster systems using our free Stream Reader plugin. Clip transmits directly to iOS devices at less than 4 frames of latency, giving you a first person view of your UAV's flight path in real time. A future update to the free TeraClip iOS app will allow you to view an optional HUD overlay for additional flight information. 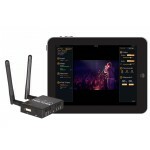 Clip has a number of upcoming accessories that will allow you to monitor your footage on multiple devices, stream to decoders for point to point broadcasts, and extend the range of your wireless transmission by hundreds of meters. Even better, Clip's serial pass-through will allow you to transmit telemetry data back to a ground station and/or an iPad so you can review your flight data in real time.